Online social networks have been one of the most effective platforms for marketing which is called viral marketing. The main challenge of viral marketing is to seek a set of k users that can maximize the expected influence, which is known as Influence Maximization (IM) problem. 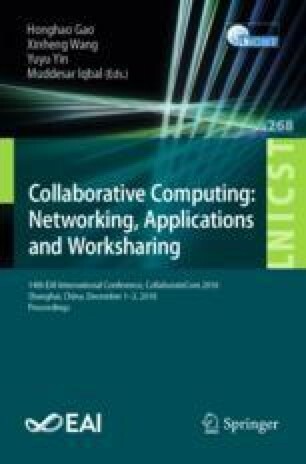 In this paper, we incorporate heterogeneous costs and benefits of users and time constraints, including time delay and time deadline of influence diffusion, in IM problem and propose Cost-aware Targeted Viral Marketing with Time constraints (CTVMT) problem to find the most cost-effective seed users who can influence the most relevant users within a time deadline. We study the problem under IC-M and LT-M diffusion model which extends IC and LT model with time constraints. Since CTVMT is NP-hard under two models, we design a BCT-M algorithm using two new benefit sampling algorithms designed for IC-M and LT-M respectively to get a solution with an approximation ratio. To the best of our knowledge, this is the first algorithm that can provide approximation guarantee for our problem. Our empirical study over several real-world networks demonstrates the performances of our proposed solutions. This work is partially supported by National Natural Science Foundation of China (NSFC) under Grant No. 61772491, No. 61472460, and Natural Science Foundation of Jiangsu Province under Grant No. BK20161256, and Anhui Initiative in Quantum Information Technologies AHY150300.